Mobile phones are an integral part of human life in this era. every new generation of smartphone is launching with a larger size, Everyday new features are added to the mobile device. It can be used as a multipurpose device, most of the new features are consuming more and more battery power. But the common problem with a smartphone is its battery backup and efficiency. Quick drainage of the battery is sometimes really problematic and frustrating however after taking some easy steps nominated problem can be tackled very efficiently and can Improve Phone Battery Life to some extent. Screen brightness is one of the main power consumer. High brightness of mobile screen causes high consumption of power from the battery. set the low brightness or according to your need. You also can reduce the screen timeout from the mobile setting which will definitely improve your battery backup. If it is not necessary you can also disable the keypad, touch, SMS, or incoming call vibration in your handset. The vibration in the motor of a cell phone is also a major reason for power loss from the battery. It is better to enable vibration only when it is necessary such as in meetings, parties etc. We all enjoy using application and games, We don't aware about this but many application runs in the background and continuously consume the power of the battery, so if you are using the application it’s recommended to exit it properly or uninstall the applications from your mobile which are not going to be used again. Your handset may have many features such as Bluetooth, GPS, Internet, NFC, IR, WiFi etc. If they remain turned on, it continuously consumes power so only turn on such feature when they are required otherwise it is wise to turn them off. The auto update feature is used for updating application automatically when a new version is available but it also leads to power loss many of time it may also cause balance deduction from your account if no data pack is activated in your mobile. So it’s recommended to use manual application update. Some people keep on charging their phone, while their phone is fully charged. It is also a cause of swelling in the battery. If you love to long hour battery don’t be lazy; Switch off the charger on time otherwise It damages the efficiency of the battery and reduces the working hours. Play store and other Sites provide tons of free animated wallpaper, the moving images looks good but they consume more power of the battery. you can save power juice by avoiding such kind of animations. Most of the Smartphone brands are offering a feature to save the power like Power Saving Mode, Marshmallow has default feature for saving power also known as Doze Mode. Active this feature to Improve Phone Battery Life or conserve the power. 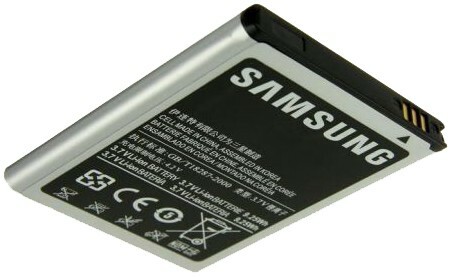 These are very simple tips to enhance the battery backup of a smartphone, although if you are also facing the hanging issue you can follow some steps to resolve the hanging issue of phone.